Jose Mourinho does not believe Paul Pogba wants to leave Manchester United because the midfielder has “never” asked for a transfer. Barcelona are said to be targeting the 25-year-old amid reports he wants to leave United in January and has a bad relationship with his coach. The France star only aided the constant speculation when he failed to rule out a January exit from Old Trafford last week . However, Mourinho has no reason to believe the World Cup winner has his heart set on leaving. “Paul came back after the World Cup the week before we started the Premier League,” he told reporters. “We are together two months or so. He never told me he wants to leave. Never. He never told me he wants to leave. “I can only comment on what is real for me, not in what I read, not in what I listen. I have no direct relation with the people that write or the people that listen. I have a direct relation with the players – not only Paul – the players. And he never told me he wants to leave. 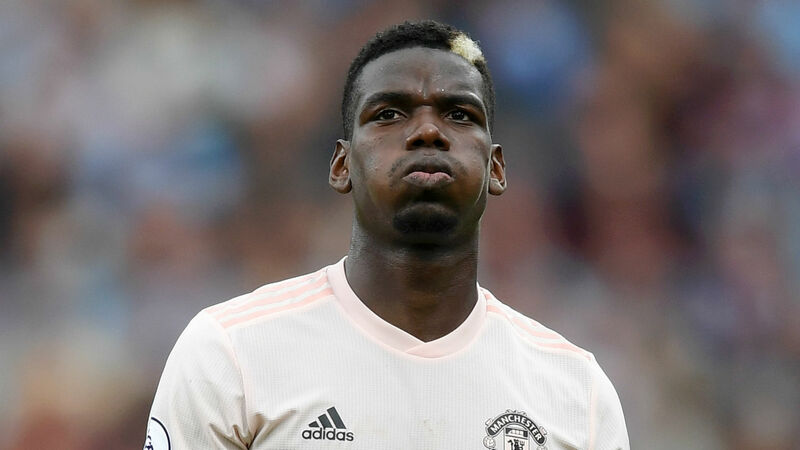 While Pogba is under contract until 2021, United are in danger of seeing Luke Shaw, Juan Mata and Ander Herrera leave for free as their contracts expire at the end of the season. But Mourinho is confident the Red Devils can convince them to extend. “I hope they will stay,” Mourinho said. “We had a similar conversation last season about Marouane [Fellaini] and I was always saying I hope he stays, I believe he stays. I say the same. I hope they stay. “Of course, I am happy with the players. Luke’s evolution made us believe he goes in the right direction and of course I want to keep him.